The mountain bluebird is found in the western half of North America. They prefer open country and breed from Alaska to Arizona. The birds that breed in the northern portions of the territory migrate down as far south as southern Mexico for the winter. 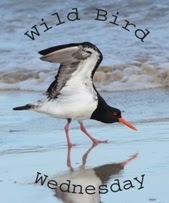 Birds that breed in the southwestern United States tend to stay within their range through out the entire year. They are often found at elevations above 1500 meters but will head to lower elevations during the winter. Like most bluebirds the mountain bluebird is a cavity nester. 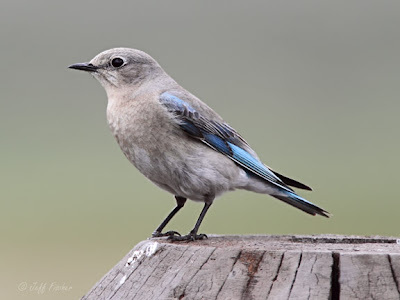 They share much of their range with the western bluebird and the two species compete for nesting spots such as natural tree cavities, woodpecker excavations, nesting boxes and other man made cavities. The female, pictured above, builds the nest typically out of grasses, bark, hair and feathers. The male sometimes appears to be helping with the nest but he usually does not really do much of anything. What a stunning little bird... so colourful. The bluer one is particularly wonderful. Amazing that a creature can be so beautiful as the blue bird. So beautiful, I rarely see bluebirds like that around here in CT. Thanks. This are such pretty birds! The male sounds a bit like my husband when it comes to chores around the house! LOL! His eyes are as blue as this mountain bluebird though, so I guess they have at least 2 things in common! 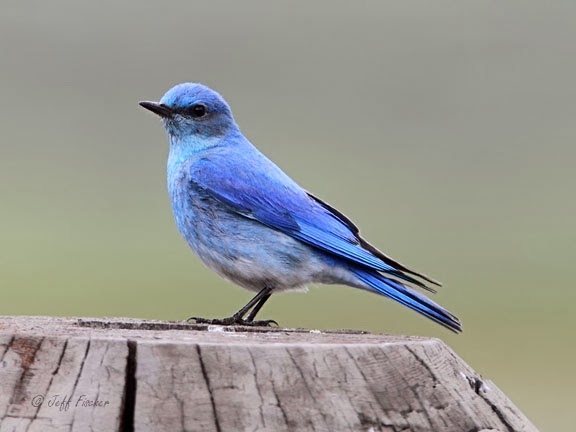 There's no blue like that of the Mountain Bluebird.